When speaking of classic games of the past, one title that falls both in the pantheon of derision while still being a classic is Zelda II: The Adventure of Link. The title was well ahead of its time, introducing new mechanics and ideas regarding what a game could be. On the other hand, those same ideas received a deep cut to the Achilles Heel through virtue of rough translation and poor implementation. The good folks over at LookAtMyGame obviously have a soft spot for the title, as they lifted so much from the beleaguered gold cart. This is only partly fair. 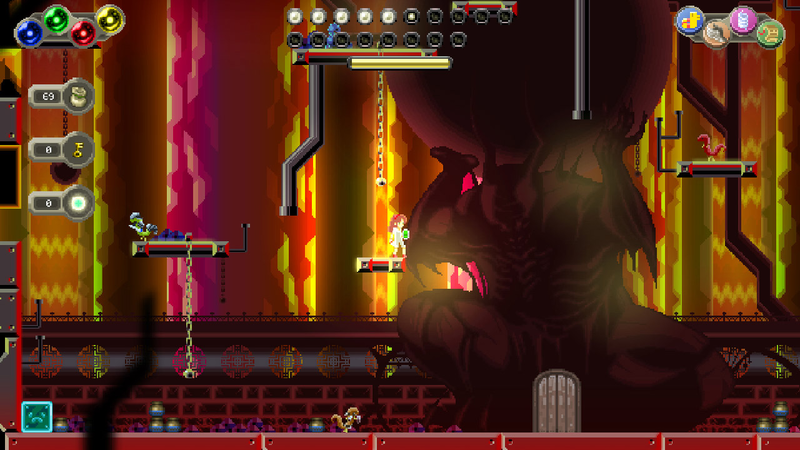 A more accurate description of Chronicles of Teddy: Harmony of Exidus (previous known as Finding Teddy 2) would be “Zeltroid.” It takes the combat style and feel of the Zelda NES sequel, complete with the aggravating jerks with the shield, while utilizing a map that steadily opens up as more abilities are found. From this description alone, it’s easy to see why Aksys Games snatched up the publishing rights. Still, like its main inspiration, it needs a little more work for the sake of enjoyability. 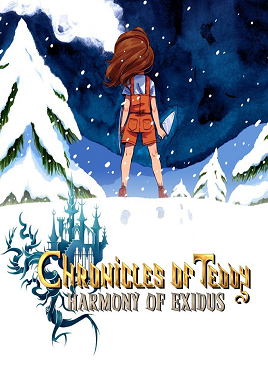 Chronicles of Teddy casts the player as a young girl who resides in a home with a portal to a fantasy realm built right in. It would be easy to imagine that this would add quite a bit to the house’s value. (A few million square miles of storage space would make it a hot commodity.) She learns of a new impending crisis in this land, gathers her sword and shield, and ventures forth with her floating teddy bear to set things right. The most immediately striking thing about this title is the graphics. 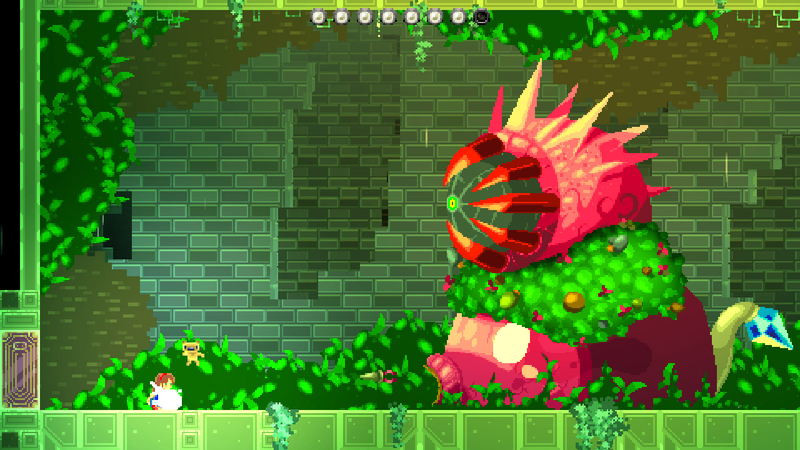 Yes, this is yet another game that uses a retro pixel art aesthetic. Seeing it in motion shows that this was not done to cash in on the ongoing trend, though. 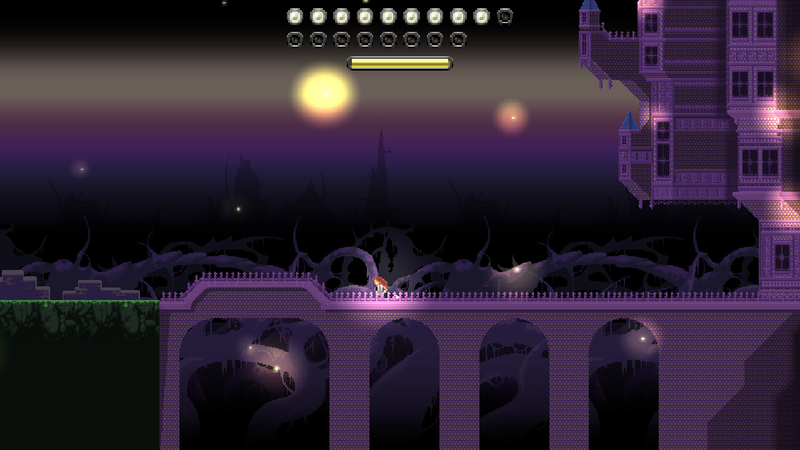 The animation of the sprites gives life to the heroine and the foes she faces. It’s smooth and detailed, giving it a nice artistic flow while not hampering the required platforming and sword swinging battles of the gameplay itself. The same cannot be said regarding the implementation of the “Musicom.” This device is found early in the game, and is used to allow the player to communicate with the world and solve puzzles. This world speaks its language through notes. As the player comes across NPCs, they may utter a statement that fills out the dictionary of known words. In order to speak these words, musical notes called “runes” must be found in chests peppering the land. It’s not a bad system. It certainly works for solving puzzles in later Zelda titles. However, a brief one to two sentence explanation would have gone a long way to increasing the enjoyment of the title. Even when it is understood, it becomes tedious. Having to open up the dictionary and flip through pages of words to find the required one, play the notes, then find the next word, and play those notes feels less like solving a conundrum and more like filling out a job application in another language. This lack of any direction permeates the title. Going into the store in the hub area shows quite a few options that are divided up into symbols. Some are obvious. One for increasing attack, another for additional health, and so on. But there are other icons that make zero sense. Even after purchase, the need for whatever it was has to be stumbled upon, usually by accident. Another example would be the intentionally confusing map system. Admittedly, some games thrive on giving the player little direction, allowing the joy of discovery be part of the experience. Dark Souls, of course, is a major example of this. The difference is that Dark Souls takes the time to explain major mechanics to the player. How a player can interact with the world is never in question. The mystery comes from parsing out the clues that are given. For example, a player might have found a shiny stone in a Souls game. With the help of a clue in the item description, along with some exploration, the player might be able to figure out that they can be traded to bird creatures for treasure. In Chronicles of Teddy, the game simply says “press triangle for the Musicom,” and that’s it. Trying to put together and understand the basic mechanics of the game is even more irritating with the choice of music used. While it is meant to be plaintive and introspective, it has a way of grating on the nerves. If I ever have to hear the droning tune from the forest stage again, I cannot be held responsible for my actions. Even if these musical works were well done, they really don’t fit the tone of the game itself. The impression is that this style was used because it’s what popular indie games have. Nothing more. Yet, despite the annoyances that permeate this title like hairballs on the floor of a lazy cat owner’s home, the game can still be fun. Just like a good exploratory action/adventure game, the feeling of revisiting old areas with new powers to get at previously unobtainable treasures is exciting. The world has some clever shortcuts to open up and use. The boss battles are exciting. Plus, as stated before, the game and its world is simply gorgeous. It’s impossible not to be impressed by the art and design upon meeting a giant guardian. Truthfully, anyone who has read this review will probably have a better time than I with Chronicles of Teddy: Harmony of Exidus just by the pure virtue of having an explanation of the Musicom system. That doesn’t mean that there still won’t be annoyances to be found while exploring this world, but once the player becomes acclimated to the pacing of the title and resigned to deal with the issues, there are some interesting things to find and explore in this little game. It’s not that Teddy isn’t cuddly; it just really needs to be restuffed.